Paris is more than just a city – the name itself is legend. From the late Middle Ages to the nineteenth century the focus of the entire country was on Paris, the center of western culture and a major influence on western history. 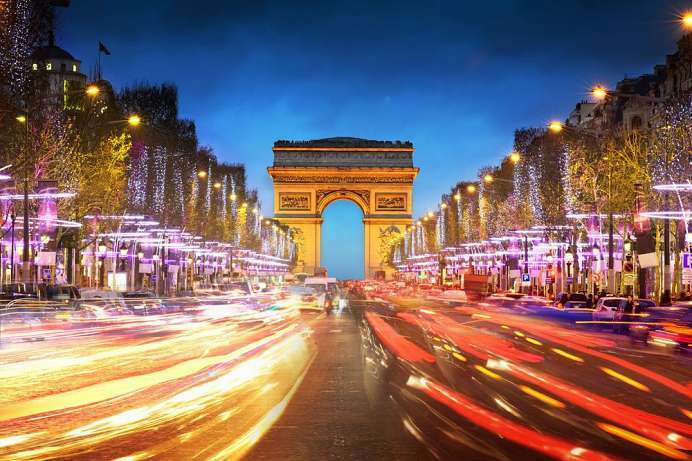 The city's layout and buildings reflect its cultural and political significance: the Champ-Elysées and the Eiffel Tower, Sacre Coeur, Place de la Concorde and Notre Dame. Paris is also considered by many to be the most beautiful city in the world. The museums of the French capital are unparalleled. From the Louvre to the Orsay, from the Centre Pompidou to the Rodin to the Cité des Sciences, each museum offers a unique aesthetic experience. Moreover, names like Faubourg, Saint Honoré and the Avenue Montaigne are reminders that Paris is famous for fashion. A shopping excursion with a stop for pastries at a picturesque street café is a must in Paris. Whether you prefer the opera, a ballet, classical music, jazz, a night club or a dance revue, the word Paris is synonymous with night-life. In the surrounding localities you can experiences aristocratic Paris: Versailles, Fontainebleau, Saint-Germain and Vaux-le-Vicomte. 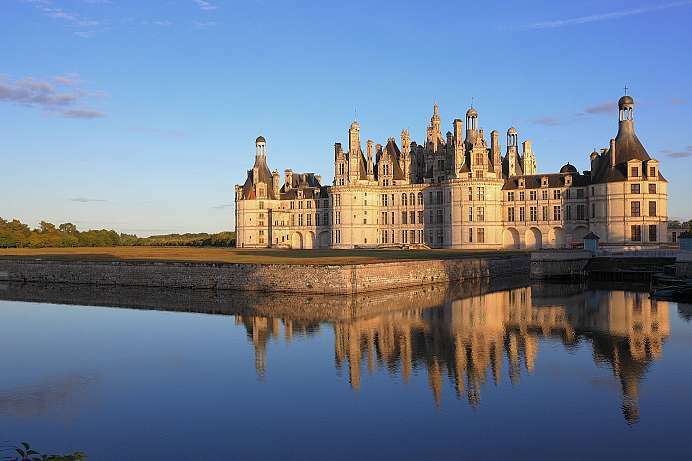 Here travelers are invited to escape to the glitter of the Louis XIV era. This avenue, which is two kilometers long and 70 meters wide, was built in the 17th century and is considered one of the most beautiful boulevards in the world. It is lined with noble hotels, restaurants and theaters. Luxury shops and fast food chains stand here side by side. The street ends at the Place Charles-de-Gaulle, where the Arc de Triomphe is the main eye-catcher. The 49 meter arch was constructed to immortalize Napoleon's victory at Austerlitz in 1806. Beneath the arch is the French grave of unknown soldier and the eternal flame. Wreath-laying ceremonies and memorial events take place here throughout the year, reaching their climax on the 11th of November during the parade commemorating the victory won against Germany in 1918. For centuries, the Louvre served as the palace of the French kings and was the largest construction site in France. Almost every king made changes to it. In the 12th century it was still a proud castle but was expanded over the course of the next two centuries to become a symbolic residence. The four wings around the square courtyard are what remain of the original palace. When Louis XIV moved his residence to Versailles, the building was left to deteriorate. 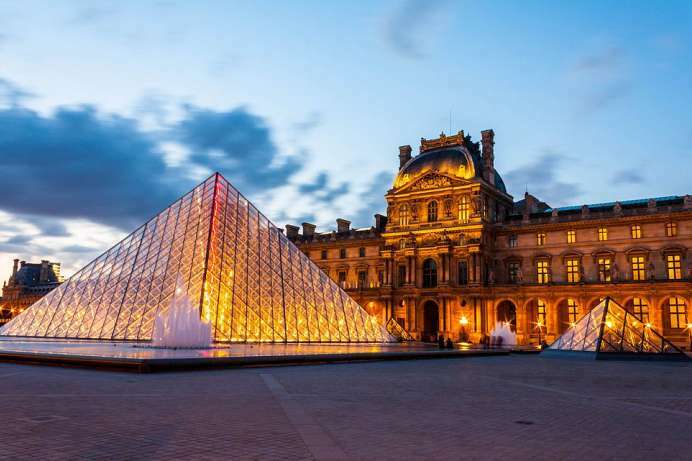 The Louvre did not become a museum until after the French Revolution when the National Assembly decided to use it to collect and exhibit the artistic treasures seized from the nobility. Today, the Louvre receives around ten million visitors every year and is the largest museum in the world. Its collections include over 380,000 pieces, and only about a tenth of them are on display. 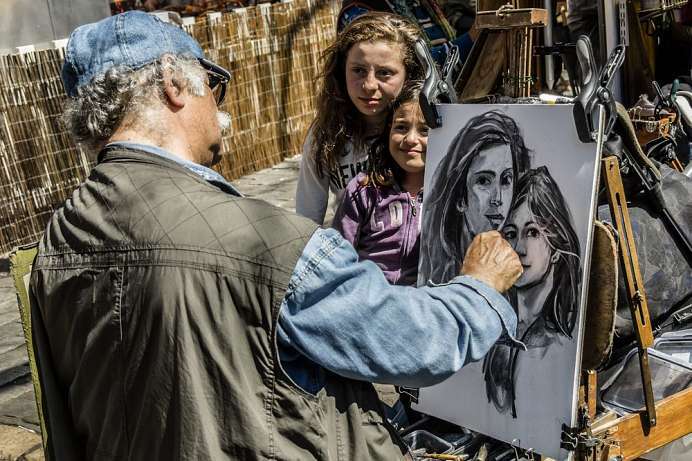 Its most famous painting is probably the Mona Lisa, which Leonardo da Vinci painted around the year 1503. The town of Montmartre lies on a hill in northern Paris and was officially made part of the 18th district in 1860. Whereas the cost of living was extremely high in downtown Paris, housing in Montmartre remained relatively inexpensive. This made the neighborhood especially attractive for laborers and artists such as Toulouse-Lautrec, Gauguin, Cézanne and the composer Hector Berlioz. Montmartre soon became an important literary center and a popular neighborhood. After the French lost the war of 1870/71, the Paris Commune was founded here with the aim of bringing Socialism to Paris. This first “dictatorship of the proletariat” was violently suppressed. Sacre Coeur was built as a symbol of the return to the old political order. The basilica continues to tower visibly over the district, which today is full of countless street painters and tourists. This church for the archbishop of Paris took nearly 200 years to build. Yet when it was completed in 1345, it had become a marvel the likes of which the world had never seen. Although it is one of the earliest Gothic cathedrals, it remained the crowning achievement of Gothic architecture. Notre Dame rises over the Seine like a jewel. Its two towers are 69 meters high and its ridge turrets reach 96 meters in height. The nave, which provides room for up to 10,000 people, is 130 meters long, 48 meters wide, and 35 meters high. The cathedral was unprecedented in its day, and this was intentional. It was supposed to outshine the Louvre, which was the royal palace. 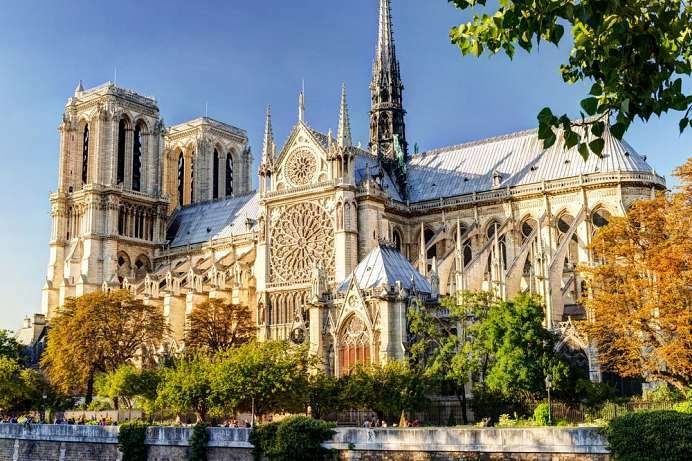 Notre Dame is a testimony to the fact that Paris has not only been the center of France, but also the most important city in the Christian West from the Late Middle Ages until the 19th century and has had a decisive impact on its history. This public square owes its existence to the megalomania of King Louis XV, who at the time was looking for a suitable location for his own equestrian monument. It took 20 years of construction before the square and the statue were unveiled in 1776. Located between the bank of the Seine and the Tuileries Garden and covering 70,000 square meters, it was the largest public square in the world. Yet the statue of Louis XV did not stand for very long. It was destroyed by angry Parisians during the French Revolution and replaced with a large freedom monument. The square was renamed the “Place de la Révolution.” In 1793, a guillotine was erected on the square. It was used to execute over a thousand people in just over two years. Among those executed were Louis XVI, the son of the monument-loving king, his wife, Marie Antoinette, Madame Dubarry and the revolutionaries Danton and Robespierre. 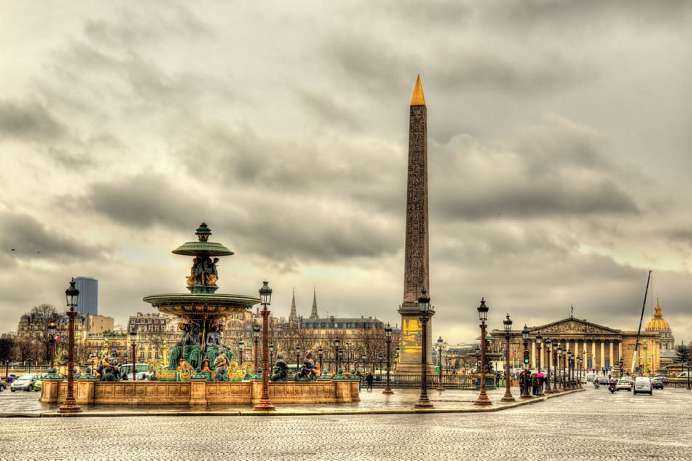 By the time the Jocobin rule had come to an end, the country was politically torn and on the brink of civil war, which is why the square was renamed the “Place de la Concorde” (Square of Peace). There was also an effort to find a politically neutral monument for the square. An obelisk from the Egyptian city of Luxor, which had been a present from the Egyptian king, was ultimately chosen. The 3,200-year-old stone pillar was meant to symbolize the difficult process of attaining peace. The square is used every year for the climax of the Bastille Day celebrations on the 14th of July. 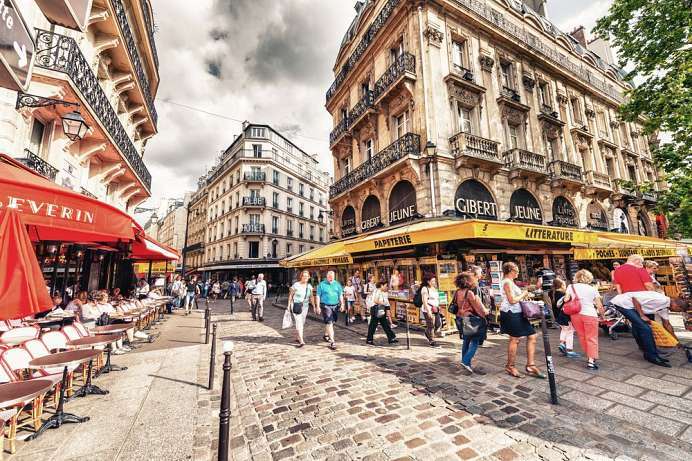 The traditional student district in Paris is located near Sorbonne University and is known as the Quartier Latin, because Latin had been the language of scholarship for many centuries. Numerous writers lived in the area, including Honoré de Balzac, Gabriel García Márquez and Klaus Mann. During the student riots in 1968, the quarter became the scene of heavy fighting in the streets. Thousands of students were arrested and hundreds were seriously injured by the police during the “Night of the Barricades.” When the trade unions called for a national strike in support of the students, President de Gaulle stepped down. Not many students live here today since the rent is unaffordable and they have given way to popular restaurants and boutiques.